Recommended for all electro-medical procedures. Suitable for long-term applications without re-application. Works by wetting the skin and reducing skin resistance. Electrode Gel and Solutions can be found in our extensive online collection of products from globally recognized and trusted brands, including Parker Labs. 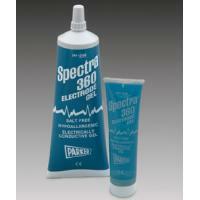 An excellent option to consider is the Parker Spectra 360 Electrode Gel, Clear Tube with Stand-Up Cap.